Editor's Note: This story has been updated with comments from owner Don McCoun. Talk radio station KUIK AM 1360 will shut down Saturday, March 31, signing off after more than 60 years on Washington County's airwaves. 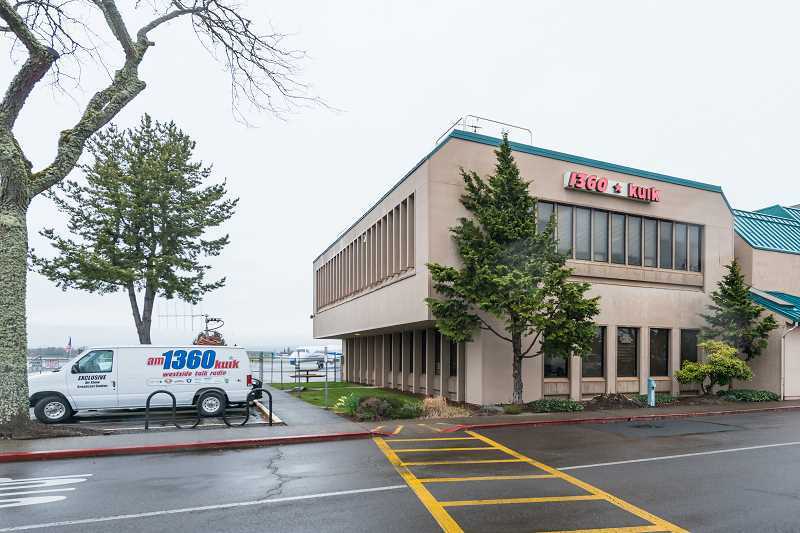 Officials with the Hillsboro company have confirmed to the Tribune that the station will cease operation this weekend. The station is in the process of being sold to new owners, according to Don McCoun, the station's longtime owner and general manager. McCoun has been looking to retire for years, he said, and said it was time to leave the industry he has worked in for more than five decades. "I've been in radio since 1961 and it's been great," McCoun said. "I can't imagine doing anything else for a living other than doing radio." The name of the new owners have not yet been released, and McCoun said he couldn't discuss the deal until the sale is final. On Saturday, McCoun plans to make the short drive to the radio station's broadcast towers in southern Hillsboro. There, with a group of close friends, he will turn off the radio transmitter. "It's a sin to have a station go dark when its perfectly good," he said. "Our station just cooks, it's a beautiful sounding station." The station is expected to remain dormant until new owners take over, McCoun said. No timeline has been put in place for when that will happen, but McCoun said he expects new owners to take over relatively soon. "I think it won't be off very long," he said. "We have a very interested group looking at it." Based at the Hillsboro Airport, KUIK has been a staple in Washington County since 1954. McCoun has lived through several changes in the radio industry. It's a volatile business, he said, but one that listeners have relied on for generations. "I remember when the cassette came out and everyone said that's going to put the radio out of business," he said. "It turned out an announcer on the radio telling you what to wear to work because it's going to be rainy all day was more important to people." When McCoun took over KUIK the station shut off every evening at sunset. "That means in December, we'd shut off at 4:30 p.m. every day," he said. "That's a terrible way to make a living." When the station switched to 24 hours in the 1980s, McCoun began broadcasting high school sports from across the county, a staple of the station ever since, along with broadcasts of the Oregon International Air Show every year. "Radio, particularly AM radio, is an absolute necessity," McCoun said. "People get so much information from it. When you're on Highway 217 and you spin off onto Sunset Highway you want to know where the wrecks are." This isn't McCoun's first attempt at retirement. He sold the station in 2005, but returned in 2012, purchasing the station from partner Spencer Rubin and returning as general manager. In an email to staff sent Thursday, Dave Bourne, KUIK program director and morning news host, said he was happy for McCoun's retirement, but sad for the station and its employees. "This marks the end of a historic station, and nearly 40 years of ownership by Don," Bourne wrote. "I think KUIK is one of the last stand alone AM's owned by one person." Radio host Jayne Carroll's March 30 show is expected to be a reflection on KUIK's history, Borne said. "The Jayne Carrol Show" airs weekdays from 3 to 6 p.m.
"I want to personally thank you for all you have done for KUIK, and wish you the best in whatever you do," Bourne wrote to employees. "I will miss working with you, and I will cherish the time we had." The station has long touted itself as the "Voice of Washington County." McCoun said that niche will need to be picked up by someone else. "Every community needs a radio station," he said. "There's 40 different radio stations in Portland, but there's only one KUIK, and we have 600,000 people in Washington County."